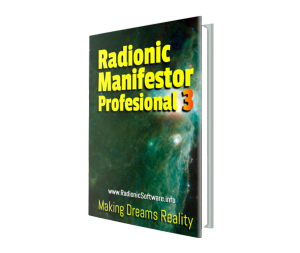 The Most Powerful Version of Radionic Manifestor Pro Yet! Radionics software has just released the latest 5 position version of Radionics Manifestor Pro 3, and now it’s even more powerful than ever before, with even higher radionics & eloptic emanation output levels. 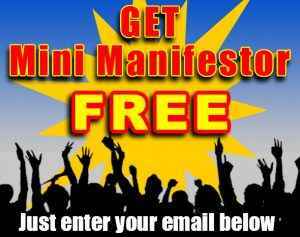 Manifestor Pro 3 has built-in Chi energy transferal technology, that has been specifically designed to be fully compatible with any brand of chi generating device or radionics machine to make your radionics manifestation even faster. 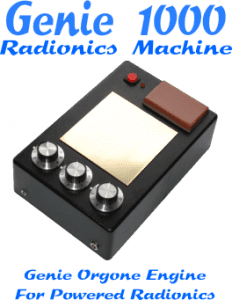 Radionics Manifestor Pro 3 radionics software can be used on any PC or laptop running any of the following operating systems: Windows 10, 8.1, 8, 7 Vista, XP or 2000. As you can see from an actual screenshot (right & below) the user interface is very user-friendly, having all the main controls permanently on screen in one convenient place allowing you to tweak your session incredibly easily. 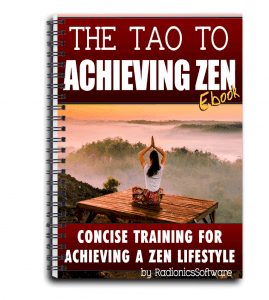 In times gone by you would have had to have spent years honing your mental powers, but with our easy to use radionics software Radionics Manifestor Pro 3 you can be manifesting your new life, successfully in a matter of minutes. Imagine being able to manifest the things you really want, whilst commuting or on holiday, In fact, anywhere you can take a laptop computer. Wouldn’t that be great? Or what about if you could Influence people and everyday events in your favor. How would that feel? Imagine being able to work fewer hours for more money, or influence your boss to give you that pay rise or promotion. 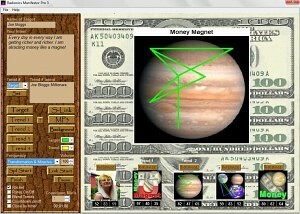 Attract money opportunities & wealth. Find love and be with the man or woman of your dreams. Make getting that new car a reality. Get rid of unwanted people from your life. Help recover from health problems. Move into your dream house. Help your partner achieve their goals in life. The list is endless, there truly are no limits to what you can achieve with Radionics Manifestor Pro 3. Compatible with any Orgone Generating hardware for Orgone powered radionics. Orgone Generating hardware compatibility for Orgone powered radionics. Session Timer, Set how long your spell will run. Auto Close (when the timed session has ended). Session Timer, Set how long your radionic session will run. Auto Close (when the session has ended). Single page interface, for ease of use. Turn your dreams & desires into reality Today! So, I tried out the software on Wednesday and wasn’t sure if you meant to continue repeating the manifestation for it worked. I decided to just have faith and allow it time to work, so only did it the once. We don’t have a big social life from choice, but our special evenings are a Friday, where we attend bingo. This week we barely had enough to purchase our books but decided to give it a go because we couldn’t see how the money would come to us from any other source. I’m not sure how much you know about bingo anyway we were on the last book for the night and if we didn’t win it was all over, well………………it all happened so quickly, I had about 4 numbers to go and they all basically came up in succession and I shockingly won £500!!!! 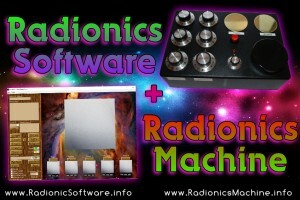 I love your radionic program. Although I own the supermanifestion, tele hypnosis, cybershaman…and a few other ones. But yours is very user-friendly. And I do get results. hola tengo una duda con solo comprar este programa funciona? Hola Ruben el software funcionará por sí solo, y un montón de gente ha tenido muy buenos resultados con ella . Obveosly sería más potente cuando se vinculan a una máquina de generación de chi , pero obtendrá resultados sólo por el uso del software por sí solo. 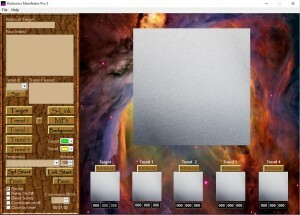 Hello Ruben the software will work on its own, and a lot of people have had some very good results with it. Obveosly it would be more powerfull when linked to a chi generating machine, but you will get results by just using the software on its own. Greetings. Thank you for this wonderful software. I a using Mini Manifestor 4.2, and today for the first time I got the same numbers in the rates of both Witness and Trend. I wonder if that means anything in particular or it’s just a coincidence? Thanks in advance for any info! Thanks, Keiron! Got your email. I love this software and will be acquiring a full version sometime in the near future. Thanks again. Is it best to leave this software running continuously or stop and start it? Run it as often and as long as you can for best results. yes it does.v cheap too. Are you guys still selling the software? Como puedo utilizar este Software para cargar esencias ,,,y como conseguir los rates para hacer esto ,,,gracias !!! Donde puedo conseguir los codigos para cargar las frecuencias necesarias , me interprete mal anteriormente ,,,gracias nuevamente !! Find an image of the essence you want to use look up the rate for it in the rate books attached to the email I have sent you, then enter the rate in the Trend # Intent box. 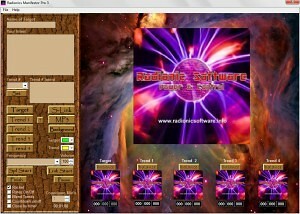 Hello,Kieron I am from Romania,and I ask you if on Radionics Manifestor Pro 3 I can set trend rates manually? This in idea that I want to buy this kind of software. You can set trend rates manually in Radionic Manifestor companion.